As many of you know, I tried Topamax for a while back in 2008 with high hopes. Instead, of offering me relief, however, it turned me into a confused, emotionally unstable, skeleton. Now, there may be a new drug that offers an alternative to people for whom Topamax should work but doesn’t, and for whom the side effects make it unpleasant to take. According to James at Headache and Migraine News, the drug study targeted people who had mild reactions to Topamax and didn’t see the improvements they and their doctors expected to see. This means that it probably wouldn’t be much help for me, seeing as my reactions to the drug were anything but mild. However, this may be of interest to some of you. Read James’ full post here. I can’t believe it’s already February! I’m still catching up on my 2013 to-do list, and here it is almost Valentine’s Day. Thankfully, I recently hired a mother’s helper for a few hours per week, so I’m hoping to start checking stuff off on a more regular basis. 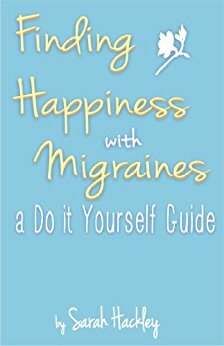 In other news, BeliefNet.com recently posted an excerpt of my book, “Finding Happiness with Migraines: A Do-It-Yourself Guide.” Read more here!